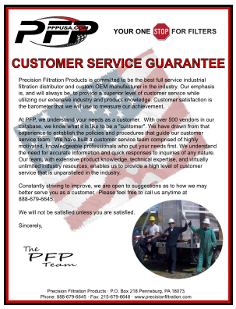 Precision Filtration Products provides a variety of services related to oil quality. We have the tools to assist with the implementation of an oil quality program, or offer suggestions on how to improve an existing program. Our filtration services range from oil sampling and testing, to equipment rental and sales, to contracted on-site filtration. For the sampling aspect of your oil quality program, we offer do-it-yourself bottle sample kits. 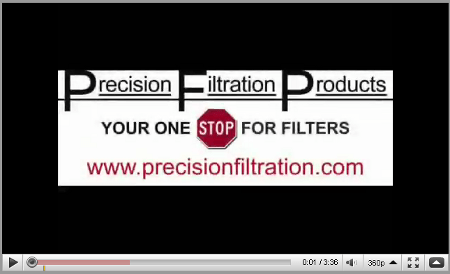 However, our preferred method is to provide on-site filter instruction on the best fluid sampling methods. We provide complete facility equipment, and fluid storage surveys, on-site sampling, laser particle analysis, and access to all of the commercially available and industry recognized testing methods. With accurate oil sample test data and trend analysis in hand, we are able to make the most cost effective recommendations for system or methodology improvements to extend fluid service life and reduce costly repairs. 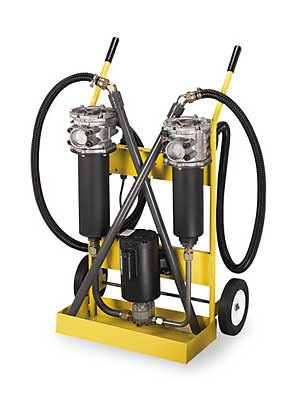 Our equipment offering includes a complete emergency rental fleet of portable filtration systems and vacuum dehydration equipment capable of cleaning reservoirs from 5 gallons to 5000+ gallons. 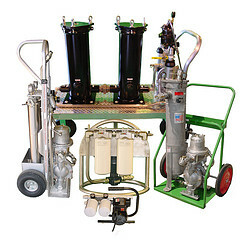 All of the systems in our rental fleet are available for purchase as new equipment. 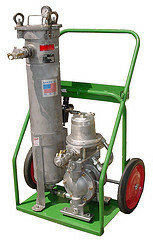 Renting equipment first, provides you a “try before you buy” opportunity that takes the guess work out of the purchase. 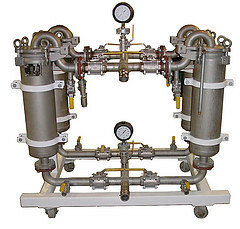 Our goal is to help you meet all of your fluid quality goals, achieve and maintain critical ISO cleanliness codes (e.g. ISO 4406), and keep your equipment up and running as efficiently and cost effectively as possible. We welcome the opportunity to serve you. Make sure to contact us today to start the process! Click here to go to our website to learn more about ISO cleanliness codes.